A coalition of the largest consumer product companies, along with international recycling company TerraCycle, today unveiled what they say is a global, first-of-its-kind, shopping system called Loop. The initiative was designed to change the world’s reliance on single-use packaging, offer a convenient and enhanced circular solution to consumers, while securing meaningful environmental benefits. Announced at the World Economic Forum’s Annual Meeting, Loop will enable consumers to responsibly consume a variety of products in customized, brand-specific durable packaging that is collected, cleaned, refilled and reused. The content, if recoverable, will be either recycled or reused. Among the founding members of Loop is Nestlé‘s Häagen-Dazs brand. Loop will enable consumers to responsibly enjoy Häagen-Dazs and other foods and personal care products in the customized packaging. 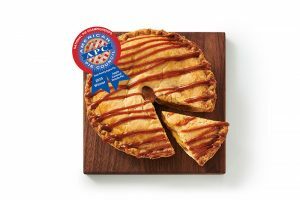 In developing Loop, Häagen-Dazs, alongside brands from other major CPG industry partners, examined its supply chain to identify ways to innovate in packaging, production and distribution. At the same time, the new service should maintain affordability and improve convenience and the consumer experience, the brand says. 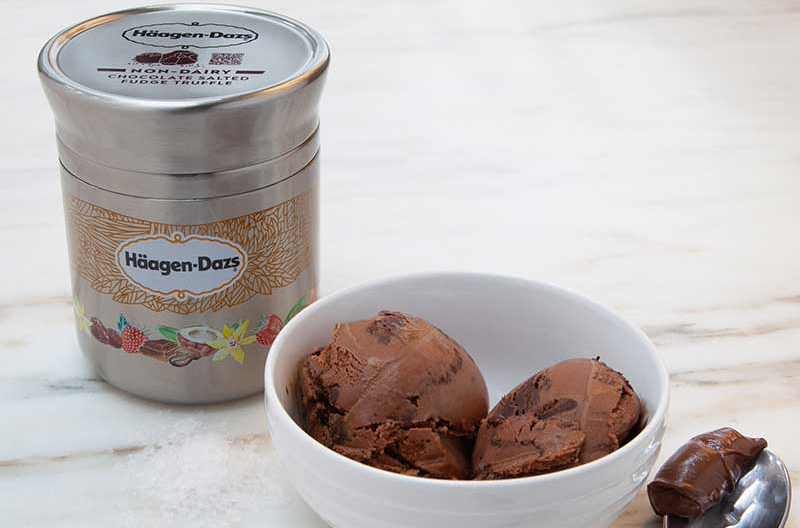 With the launch of the new system, Häagen-Dazs is debuting a reusable stainless steel double-walled ice cream container, designed by Nestlé’s global research and development group in Bakersfield, California. The design and transportation will keep the ice cream fresh and cold from the moment the canisters are filled until they are delivered to consumers’ homes, says Nestlé. 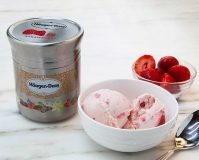 The canister also ensures that when it is opened, the ice cream melts more quickly at the top than at the bottom of the container. The idea for Loop was developed at the World Economic Forum by TerraCycle and consumer product companies Procter & Gamble, Nestle, PepsiCo, Unilever, Mars Petcare, The Clorox Company, The Body Shop, Coca-Cola European Partners, Mondelēz International, Danone, Jacobs Douwe Egberts, Lesieur, Bic, Beiersdorf, RB, People Against Dirty, Nature’s Path, Thousand Fell, Greenhouse, Grilliance, Burlap & Barrel Single Origin Spices, Reinberger Nut Butter, CoZie and Preserve. Additional partners are food retailer Carrefour as the founding retailer and the first to believe in Loop’s model, with leading U.K. retailer Tesco to pilot Loop in the U.K. later in the year; primary logistics and transportation company UPS; and sustainable resource management company Suez. 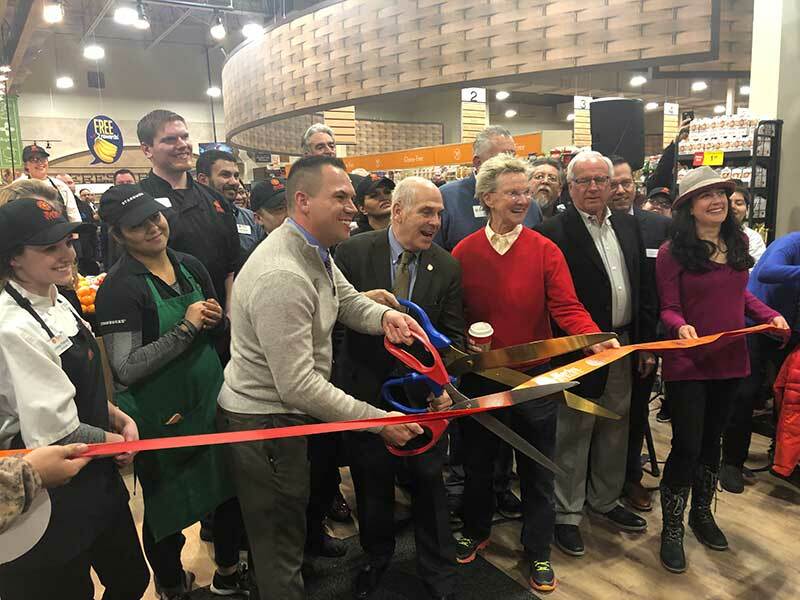 This approach to shopping was made possible as a result of innovation investments made by the founding partners and their commitment to developing more circular supply chains from package design to manufacturing through consumer use. The aim was to offer a zero-waste option for the world’s most popular consumer products while maintaining affordability, improving convenience and returning used disposable or durable items to a circular life cycle either through reuse or recycling. “The environmental benefits of Loop durable packaging versus single use packaging have been proven and verified in Life Cycle Assessments under usage pattern assumptions that will be further validated in pilots scheduled to launch in the spring in France and the northeastern United States,” says TerraCycle. Additional markets are expected to launch throughout 2019 and 2020. Consumers will go to the Loop websites, loopstore.com, maboutiqueloop.fr or partner retailer’s websites and shop for brands now redesigned to be packaging waste-free. They will receive their durable products in Loop’s exclusively designed shipping tote that eliminates the need for single-use shipping materials like cardboard boxes. Customers do not need to clean and dispose of the packages. As they finish their products, they place the empty package into one of their Loop Totes. Loop will pick up the totes directly from their homes. Loop’s team of scientists has developed custom cleaning technologies so that each product may be safely reused. Loop promptly replenishes products as needed and returns the refilled shipping totes to the consumer. If there is recoverable used product such as diapers, pads, razors or brush parts, they will be recovered to be reused or recycled.